There are quite a few playgrounds near to where we live, and this particular one is in the middle of a large housing estate that is literally just down the road, a five-minute walk in fact. We go there from time to time, to meet our friends and hang out on the swings. It is usually very quiet and nobody really seems to use it whenever we're there - not sure why! 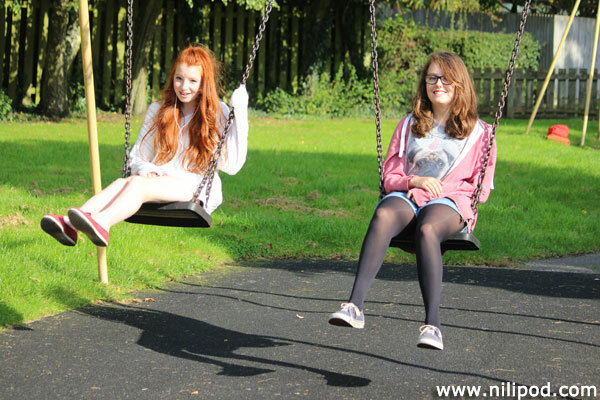 Hanging out on the swings is an easy way to pass the time, because it is a good way to clear our minds. We generally listen to some music and chat about all kinds of stuff, including plans for the next podcast or two of course. Very often we dream up our best features when we're playing on the swings, although in fairness, they're not always suitable for a podcast. That's where the wonders of YouTube comes into play.